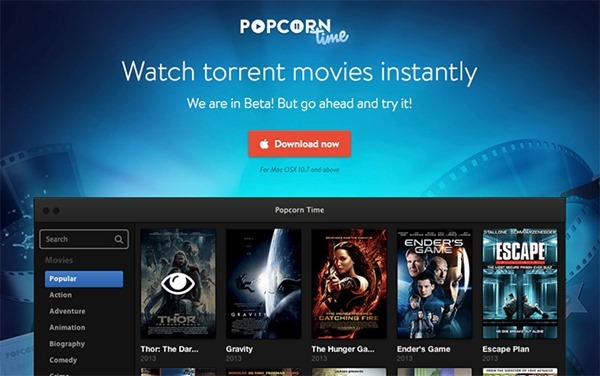 Popcorn Time, a torrent movie streaming site, dramatically closed its doors only recently amid a swirl of legalese, with users and observers uncertain as to whether the site was in breach of the law. But as is so often the case when these kinds of sites disappear – either by choice or by force – Popcorn Time has been resurrected, and with the site now being run by developers of torrent site YTS, the ‘whack-a-mole’ nature of shutting down these purportedly illegal sites has once more been underlined. Our experiment has put us at the doors of endless debates about … copyright, legal threats and the shady machinery that makes us feel in danger for doing what we love. And that’s not a battle we want a place in. But while many Popcorn Time users shed a tear and began to seek alternatives, the site and its movie-facilitating installer will now continue to be developed and updated by a different group, and by the sounds of things, the project’s ethos – to bring a streamlined, concise and open-source movie service to all – will remain the same. In fact, YTS dev Jduncanator has noted that Popcorn Time should be up and running in the very near future, and with a fan-supported installer already floating around in the underground lairs of the Interwebs, it’s seemingly impossible to keep such a popular, revered service down these days. Whether it’s legal or not is a matter of fierce debate, but one site hosting a "Beta 2" of Popcorn Time leaves a disclaimer that torrenting movies using the service "may be illegal in your country," and that anybody deciding to use it is doing so at their own risk. Ambiguous? Sure. Illegal? Yes. But it works, provides a broad catalog, and is not restricted in any way, which is arguably the main reason for its popularity. 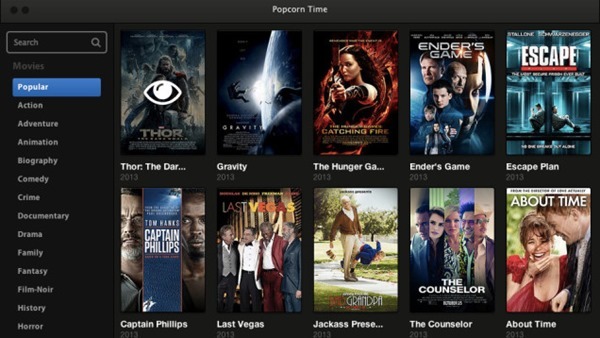 In a day when services like Netflix – as established as they are – are riddled with DRM and cannot get movies out as quickly as some impatient folk would care to wait, it’s no surprise that Popcorn Time has become such a big hit, and with the open source project now on GitHub, it’s not going anywhere, any time soon. Disclaimer Note: We don’t support or promote piracy in anyway. This article is purely for informational purposes only. We don’t recommend using this app in any way. Proceed at your own risk.